Want to understand HTML better? The aim of this event is to encourage team spirit, hoping that the teams will stay together until the end of the event. If you want to run somewhere else apart from your normal training run, why not choose a stage, get some of your friends together and go for a social outing to view the scenery. 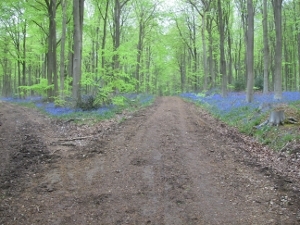 An ideal stage at this time of year would be to run through the West Woods to see the Bluebells (Stage 3). Now in its third year the White Horse Relay has revealed many new routes not even known to local runners. 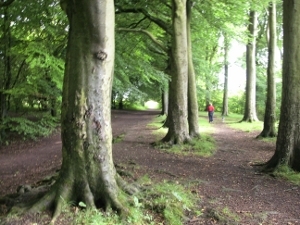 The idea was to run between the eight White Horses of Wiltshire using the trails shown on the Ordnance Survey maps. The route is so varied going along tracks, across fields, through woods and some entirely on road, (mainly unmade), with stages varying from just over five miles to ten miles and magnificent views. What would you expect with 8 peaks (the White Horses)! Each stage will start as a mass start at about the expected time of arrival of the first runner from the previous stage. The three longest stages are nearly 10 miles, but the shortest is only a fraction over 5 miles - so much choice, each team member can choose a route to give them just what they want and lots of lovely views. The number of teams will be restricted to 24 only.